OK. You’ve got the research done and have compiled a list of breeders to visit as you continue your search for your Pug. 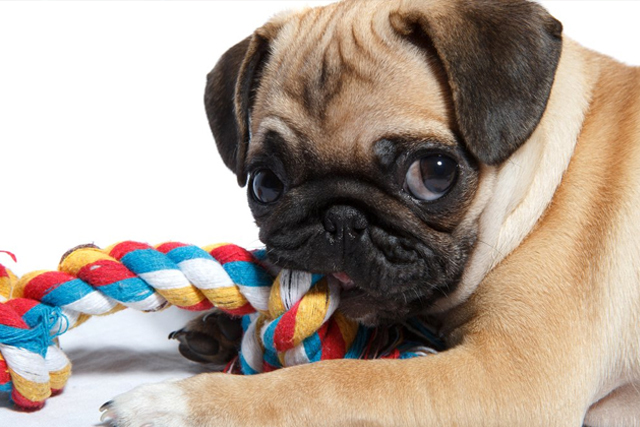 Here’s where the process becomes truly difficult, and this article will help prepare you with some plain, simple facts describing things you absolutely positively must have or see before you buy a Pug puppy. Health Certificate: This is probably the single most important item a breeder must provide for you. The health certificate, which should only come from a veterinarian, attests that the puppy you purchase is healthy and free of illness, defect or disease. If the breeder you’re visiting does not provide this, or hedges on the answer, move on to the next breeder on your list immediately. De-worming and Vaccination Records: Another must have. These records are your proof that the Pug you’re considering has been de-wormed and given the appropriate vaccinations thus far. If this isn’t there, or available, move on to the next breeder. 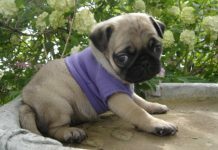 That you, the buyer must take your Pug to the veterinarian of your choice within a specified period (usually 2-6 days) after you purchase the puppy. If, during that examination by your veterinarian any pre-existing conditions are found, you will be able to return the puppy to the breeder and receive a full refund of the purchase price. Pre-existing conditions include Luxating Patella, irregular heartbeats, and others mentioned here. The sales contract must contain the name of the dog or another equally acceptable identifying factor, the price, the required deposit for holding the puppy for you (with indication of refundability), the date the full balance is due, the amount of the balance, and the total cost. Your name, the breeder’s name or business name, and the dogs name should all be in the contract. Parent of Premises: The breeder must make at least the mother of the puppies available for you to meet. By meeting the mother of the pups you’re considering you can get a better idea of the puppies possible temperament and health. In addition, you can also have the opportunity to evaluate how the mother is being cared for. Free Reign of the Premises: The breeder should allow you to inspect and investigate their premises. Now this does not mean you are free to visit their bedroom, but rather their breeding facility…Where the pups and parent(s) live, sleep, feed and cared for. The breeder shouldn’t have anything to hide, and thus should be more than willing to allow you this access. 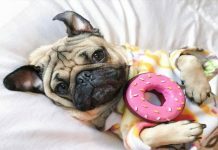 Spend Time With the Puppies: While this may seem an obvious point, many people purchase Pug puppies sight unseen, and unless you’re having a Pug shipped form someplace out of your range, and from a breeder you know you can rely upon, this is a no-no. 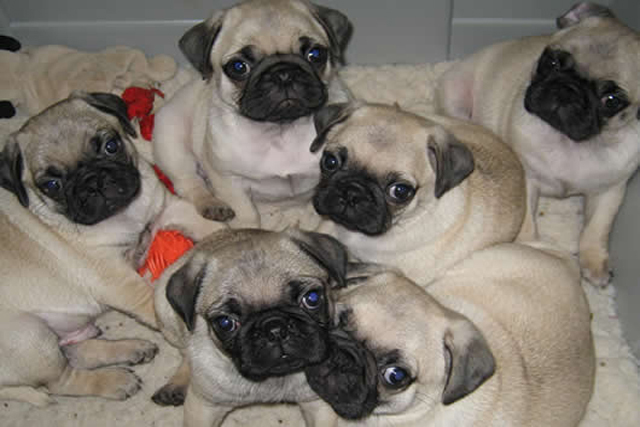 The breeder should allow you to spend as much time as you wish with any and all of the puppies available for sale. They should not rush you, hesitate in any way or limit you in this endeavor. If the breeder does not allow this, has an excuse against it or hesitates for any reason, it would be wise to move on to the next breeder. These are the basic “must haves” from all breeders you meet. You of course have the right (and you should exercise it) to ask the breeder any and all questions you feel are relevant. 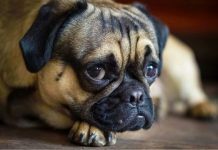 Please see Questions You Should Ask the Breeder for a list of useful questions that may help you decide if this breeder is the one you wish to do business with. Remember, if it’s a concern to you, then you should ask…There are no stupid questions!